The growing heron population is a big problem for all pond lovers. 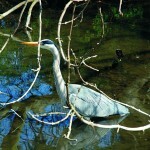 For fish are the main feed of grey herons. You can recognize this heron species by the black crest at the back of his head. Colourful fish in a clear pond are an easy prey for this fish- eater. With its long bill a heron can swallow a fish of 30 cm and wound bigger fish perilously . A heron will return until the pond will have been totally fished out. How do you frighten herons and chase them away permanently? There are various methods to frighten a heron and to chase it away. In the early morning, when herons are most active, a stray dog as heron scarer will take the right effect. A fake heron at the pond edge is indeed decorative and will chase a male heron, however not the hungry female ones. 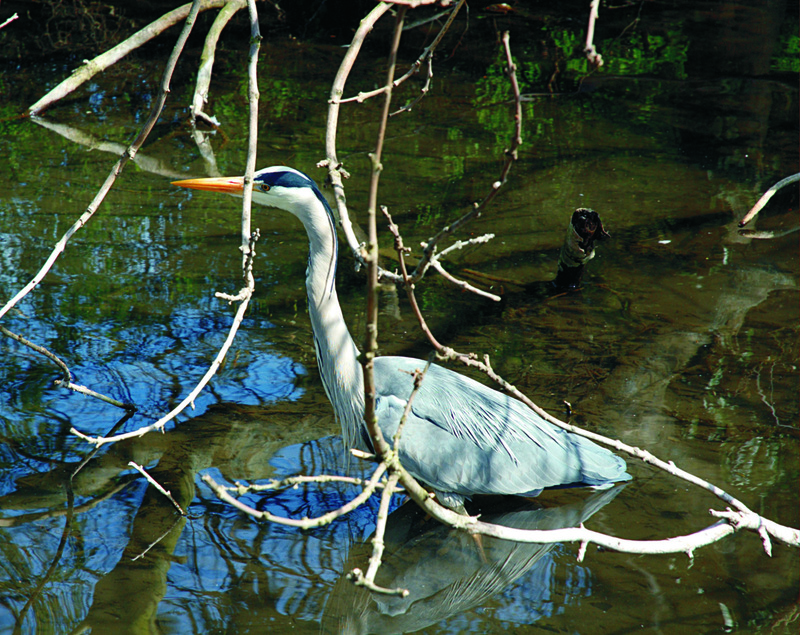 Reflecting daylight is already very effective to keep herons at a distance. They will be shocked by the restless light reflections, caused by a glittering spinner or a silver ball. Such a glittering heron protection is a decorative element in your garden. Place a number of floating balls in your pond to achieve a strengthened effect. By stretching threads over the pond, the approach route of the heron will be blocked. This is effective, however, it requires much labour and will mar your garden and pond. It would be simpler to stretch an electric fence round pond side. If they touch it, they will give a shock reaction, as a result of which herons will draw away and never return again to your pond. More advanced systems are disposing of a motion sensor which detects arriving herons and cats. Detection will be followed by a strong jet of water in the direction of the invader or by flashes of light and shrill sounds. The unwelcome guest(s) will draw away at once. Finally you may also to use a pond cover. Herons will not be able then to approach fish and will leave. Pond covers are available indifferent sizes so that there is an appropriate cover for every pond.